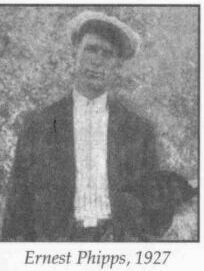 Added 10/16/2000 I just discovered an earlier but identical version in Gospel Song Messenger, Edited and Published by R. E. Winsett, East Chattanooga, Tenn., 1914. Even at that earlier date it was attributed to Anon. and Arranged. A little talk with Jesus makes it right, all right. 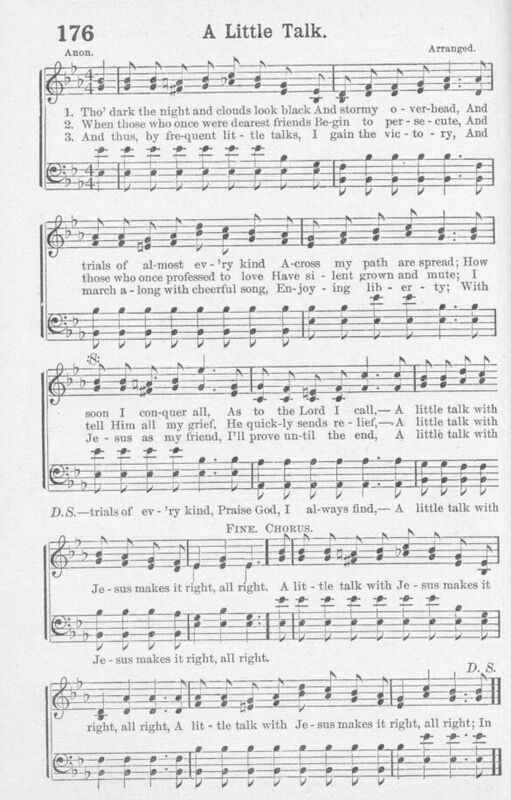 This song was recorded by Ernest Phipps and his Holiness Singers as A Little Talk With Jesus in 1928. A REMINDER, If you like what you hear, then consider buying the CD which it came from, The Music Of Kentucky, Vol. 1, Yazoo 2013, 1995. The song will download completely before playing. For More Information about the publisher, Thoro Harris, check his bio at the Cyber Hymnal. The link will open in a new window.